"I don't know if I can possibly recommend Eric Barfield too much. 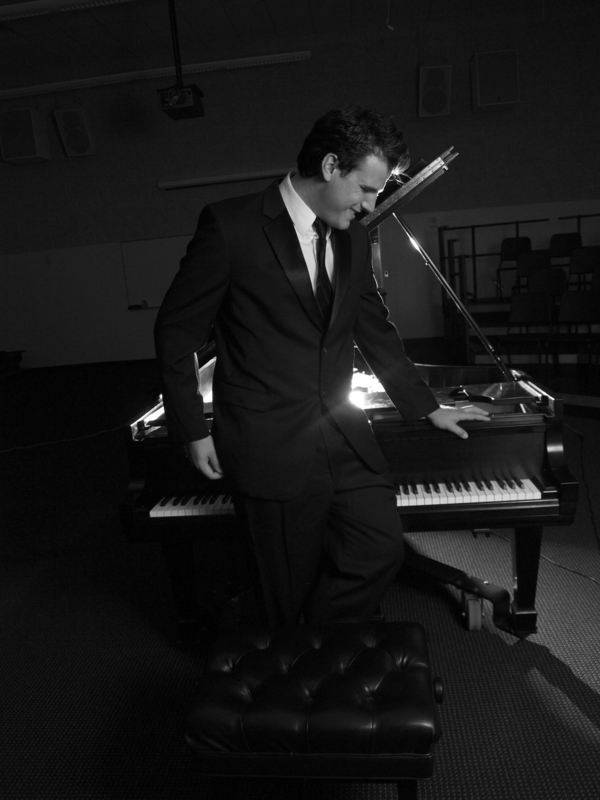 He played my daughter’s wedding, worked for my professional clients, inside & outside, big events, and intimate settings. He's worth twice whatever you agree to. This is one person who will always ask Eric first, then proceed." Why have me play your next event? With thousands of songs in my repertoire, there are lots of options. Every musical genre is covered, including rock, pop, alternative, folk, acoustic, latin, classical, jazz, showtunes, and 60s & 70s. Feeling overwhelmed with the details of coordinating your special occasion? I can take the stress off by minimizing what you have to do. You'll also never have to worry about your musicians backing out- I've logged hundreds of shows, and never cancelled a single event. When you’re throwing a event, I understand how important it is to make the occasion special. I go to great lengths to make sure that every member of the party has an incredible time, and will be talking about the event for weeks afterward. 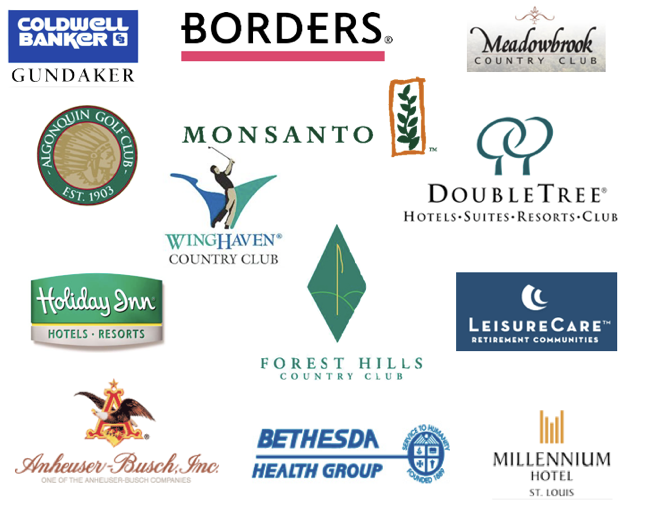 Contact me at (636) 219-9855 to schedule your event. Want to know where I'm playing next? Sign up to be notified next time I'm in your area. Looking for something laid-back, but still uptempo enough to keep the party going? 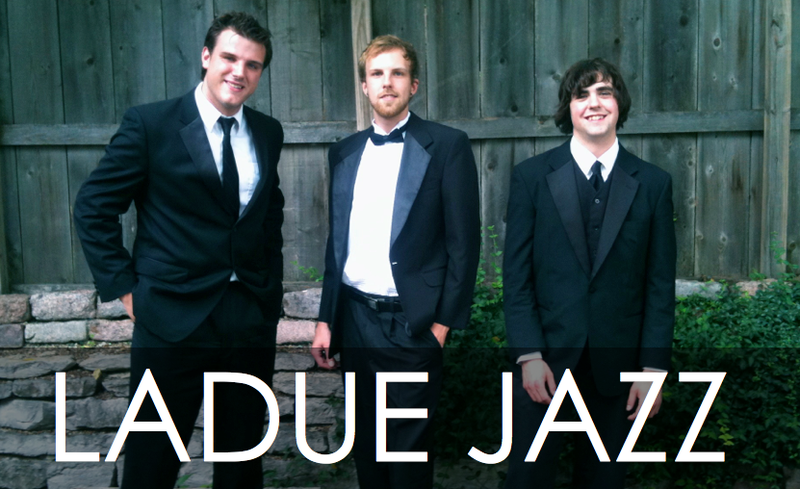 Ladue Jazz specializes in playing jazzy renditions of popular songs, for audiences that want to have a good conversation over dinner, but still want to hear great music. Ladue Jazz plays a unique blend of modern and classic songs, with everything from hits on the radio to classic 20's tunes. We never use a setlist, instead choosing to tailor our songs to the specific audience based on requests and overall feedback. With over 300 tunes in the repertoire and counting, we're sure to have something you'll love. We also play at very low volumes, making it possible for us to be in intimate settings that other bands couldn't. When I set out to create Ladue Jazz, I picked only the best improvisational jazz players in St. Louis to be in the group. We've kept that tradition going strong ever since, hiring only the finest musicians St. Louis has to offer. Want a bigger sound? We can scale the group from as few as two players to as many as 10. Let us know what your party needs, and we'll do the rest. Want to book us? Give us a call at (636) 219-9855 to get started. Get Down Bella is a good old fashioned, 5-piece bluesy band that plays everything from Eric Clapton to Bob Marley, to modern artists like Dave Matthews Band and Ceelo Green. We keep it all funky and make sure your guests are enjoying themselves throughout the event. If you're looking for the perfect band to launch your party and keep it going through the night, Get Down Bella is exactly what you need. We have a mix of classics and modern songs that will keep you jiving and grooving all night long. While we do have our laid back side, many of our songs are very easy to dance along to. We'll keep you moving with classics like Superstition, Hand Jive, and Sneakin' Sally Through the Alley. Want to book us? Give the band leader, Leon WIlliams, a call at 314-323-0635 to set up your event today. The Matt McCallie Orchestra is the perfect choice when you're looking for a mid-to-large wedding or party band. Top shelf professional musicians make up this ensemble. This big band plays the broadest variety of music styles covering virtually a century of the greatest music of all time. This is a premiere entertainment act ready to entertain any audience. This is the best wedding band in St. Louis. We offer services that no other local bands avail. From the ceremony to the reception we have the experience, quality, and commitment to make your special day the wonderful event you will always cherish. Our shows bring life to any event. With a song list of several hundred songs we are prepared to cater to you musical needs. We play the music you and your party really want to listen and dance to. From dinner time jazz music to high energy pop, funk, rock, and other dance styles, we have the tunes to keep the party on the dance floor all night long.